Jibit takes pride in her unique representation of clients. She provides specialized, logical, and honest counseling to employees who have genuine claims against their employers. Clients know that when they hire Jibit, they are hiring an attorney who is whole-heartedly devoted to making sure an employee’s legal rights will be ultimately respected. Jibit is committed to protecting the rights of all California employees, while ensuring that employers are compliant with state and federal laws. That is why she dedicates a portion of her practice to educating small to mid-size business owners on topics including unfair competition, recent developments in labor laws, sexual harassment in the work place, wrongful discharge, wage and hour issues, EEO, disability and leave laws, discipline and termination, employment agreements, confidentiality agreements, and on personnel policies and procedures. Jibit represents her clients involved in employment disputes in any forum, including state or federal court, arbitrations, administrative hearings, and government agencies. Jibit Cinar is an Armenian whose family immigrated to the United States in 1979, when she was only 15 months old. She was raised in a house where her Armenian heritage, culture, language, and education were valued above almost everything else. 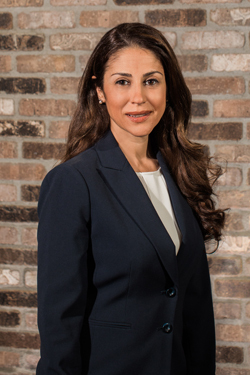 The preservation of Jibit’s culture is still extremely important to her, which is why she serves on the boards of several Armenian organizations. Jibit is the President of the Education and Scholarship committee for the Organization of Istanbul Armenians, whose mission is to provide merit-based financial awards to Armenian students across the world. She has also served on the Organization of Istanbul Armenian’s Cultural Committee, organizing events and panel discussions to bring awareness of political and social issues facing Armenians around the world. Jibit Cinar also spent 2 years as President of the Ari Guiragos Minassian Armenian School Parent Teacher Organization. Prior to that, in 2015, she founded and spearheaded the Armenian Spirit Committee at the same school. Jibit lives in Orange County, with her husband Pierre and her daughters, Lara and Liana. She loves to travel abroad, entertain friends at home, volunteer at her daughter’s Armenian school, and cook Armenian food. She is fluent in English, Armenian, and Turkish.